In 2017 the Melrose Park Fire Department’s Advanced Life Support (ALS) ambulances responded to 3,010 calls for assistance. Our full-time staff of highly-trained contract paramedics and emergency medical technicians have three, fuAmbulancelly-equipped ALS ambulance units (2 frontline and 1 reserve) at their disposal. 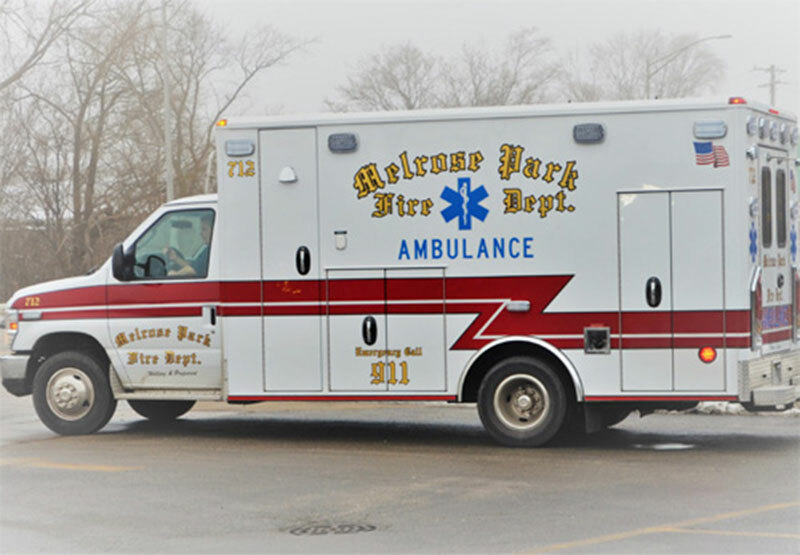 These vehicles allow emergency services personnel to make prompt, effective and professional first-response services available to the residents of Melrose Park. Four full-time contract paramedics serve the Village of Melrose Park on each of three, rotating, 24-hour shifts. These state licensed ambulances and responders are associated with the Loyola Emergency Medical System. The Melrose Park Fire Department maintains a strong affiliation with the emergency departments of Westlake and Gottlieb Hospitals. Cooperation in this hospital system results in consistent monitoring of our ambulance services. In addition, these local hospitals provide the Melrose Park Fire Department with monthly continuing education classes directed toward the continuous improvement of the department’s emergency medical skills and services.